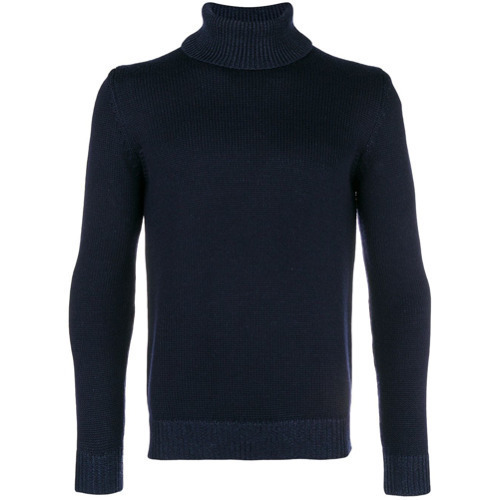 Reach for a Roberto Collina turtleneck ribbed jumper and navy dress pants for a sharp classy look. 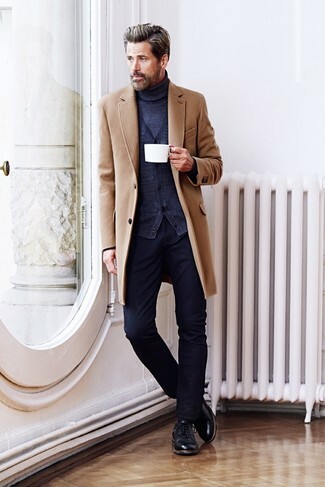 Throw in a pair of brown suede desert boots to loosen things up. 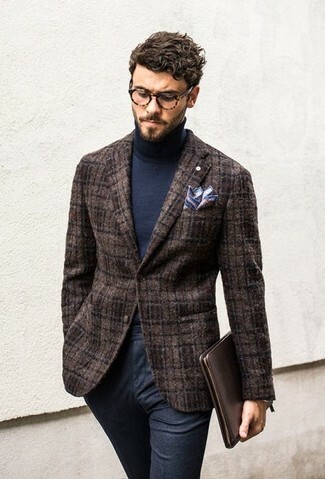 Consider teaming a navy turtleneck with navy wool dress pants for a classic and refined silhouette. Consider teaming a Roberto Collina Turtleneck Ribbed Jumper from farfetch.com with black ripped skinny jeans for a relaxed look with an urban spin. Give an elegant twist to your look by slipping into black suede loafers. 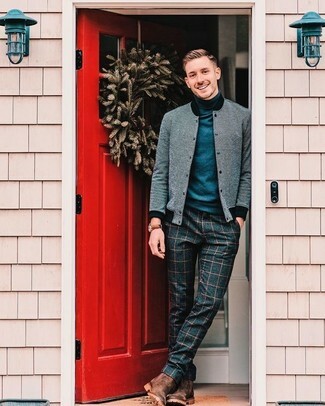 For a casually elegant look, consider teaming a Roberto Collina turtleneck ribbed jumper with navy check wool dress pants — these two items the place of work perfectly well together. 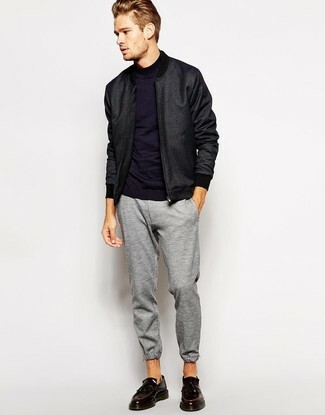 When it comes to footwear, this getup is round off nicely with brown leather chelsea boots. 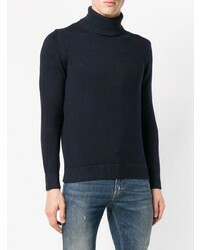 If you're on the hunt for a casual yet seriously stylish outfit, opt for a Roberto Collina turtleneck ribbed jumper from farfetch.com and navy jeans. Both garments are totally comfortable and will look great together. 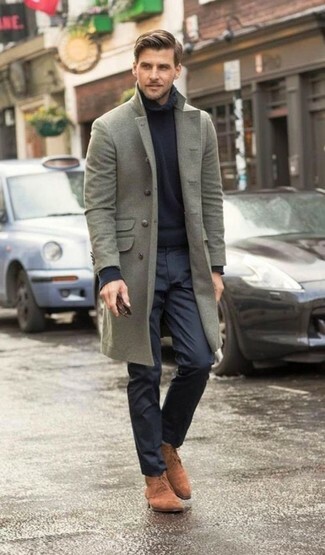 You could perhaps get a little creative in the footwear department and spruce up your look with black leather brogues. 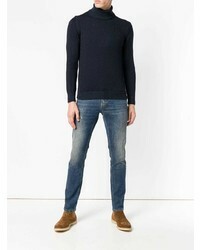 If you're looking for a casual yet sharp outfit, wear a Roberto Collina turtleneck ribbed jumper and navy jeans. Both pieces are totally comfortable and will look great paired together. 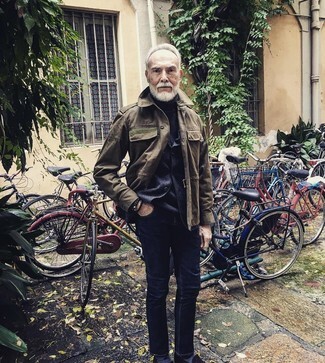 So as you can see, ensembleing stylish doesn't require that much effort. 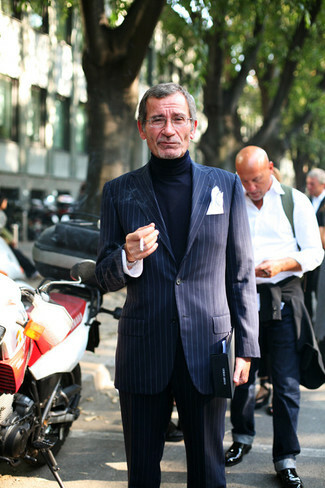 Just wear a Roberto Collina turtleneck ribbed jumper with navy and white vertical striped dress pants and you'll look great. 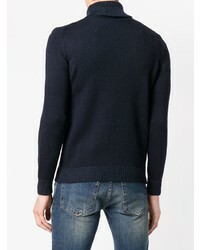 Choose a Roberto Collina turtleneck ribbed jumper from farfetch.com and charcoal dress pants for a sharp classy look. When it comes to shoes, this getup is finished off well with burgundy leather double monks. 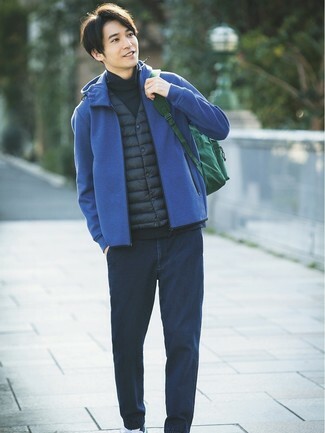 If you're after a casual yet dapper outfit, reach for a navy turtleneck and grey sweatpants. Both pieces are totally comfortable and will look great together. Perk up your getup with burgundy leather tassel loafers.